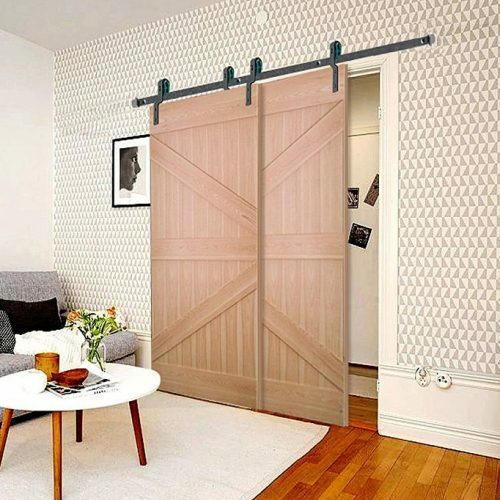 Years ago barn doors were popular in fancy suburbs of New York, such as Soho, but remained a gimmick for the rest of the cities. 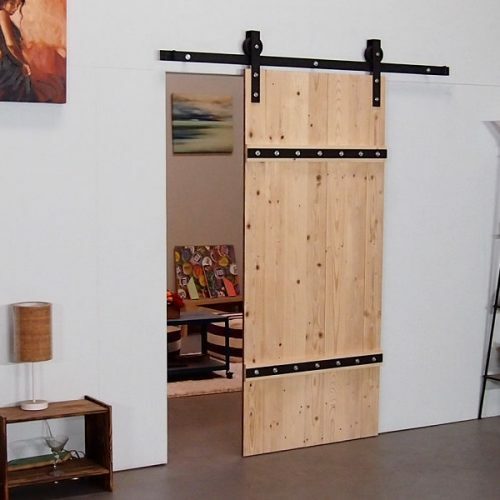 Today barn doors are widely available for individuals with a great taste, whether they live in the North American or Western Europe. 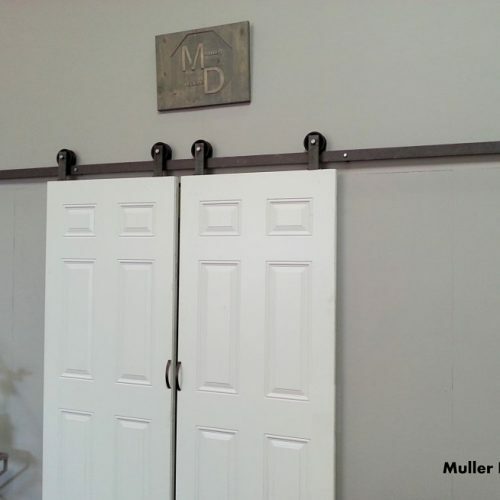 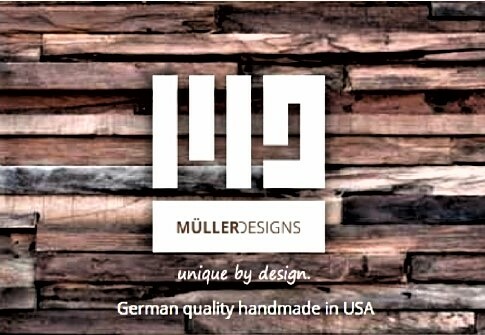 With the sliding barn door hardware by Muller Designs you also can decorate your house in a stylish way. 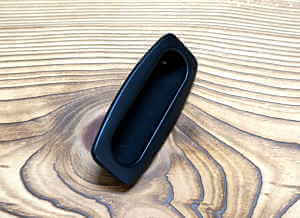 SKU: 212336111. 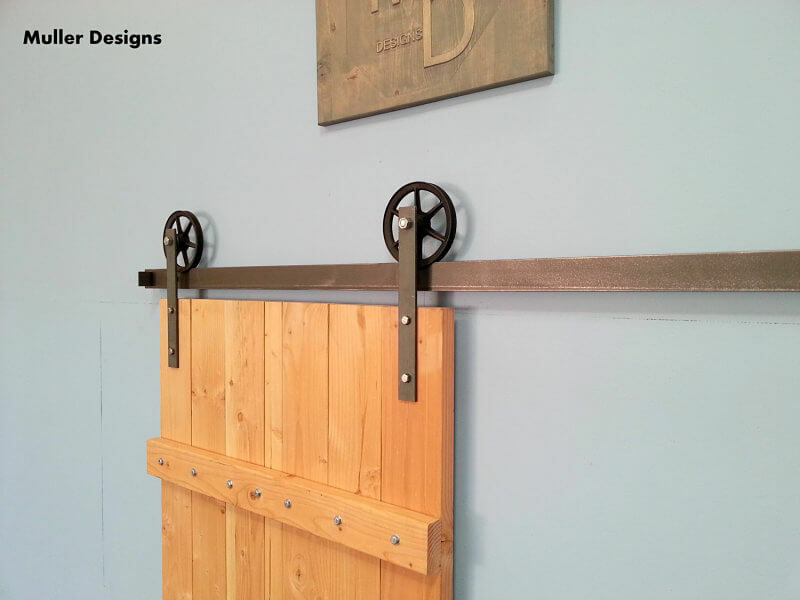 Category: Sliding Barn Door Hardware Category. 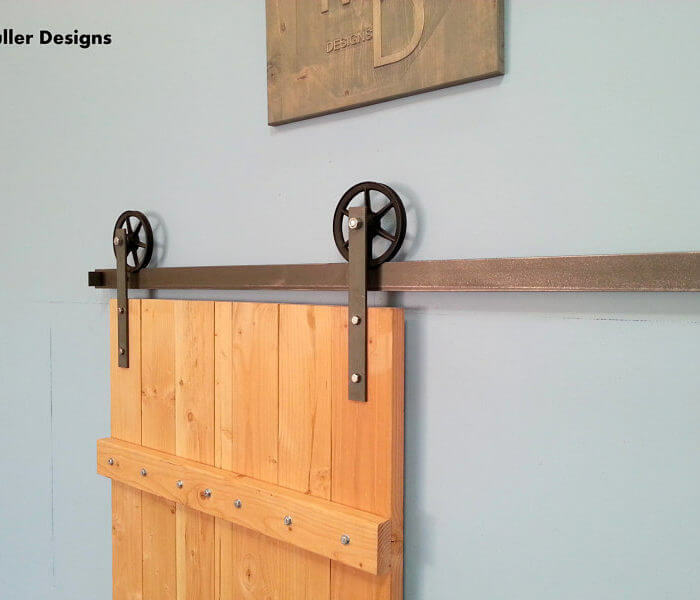 Tag: Sliding barn door hardware. 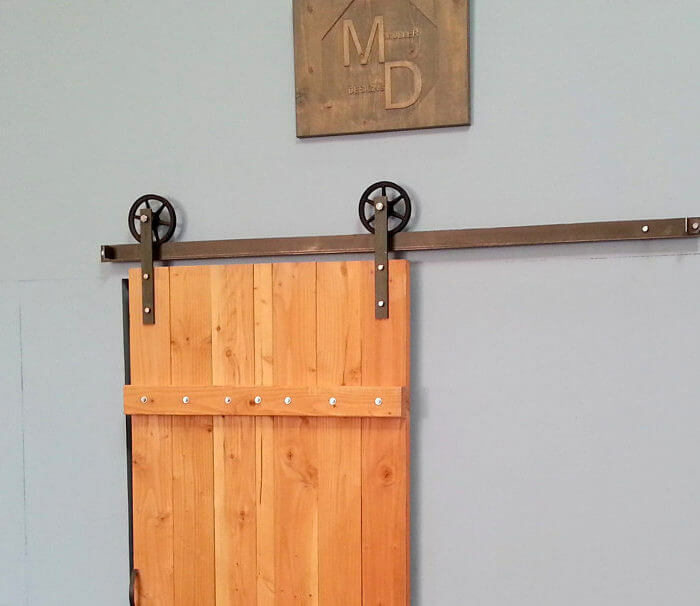 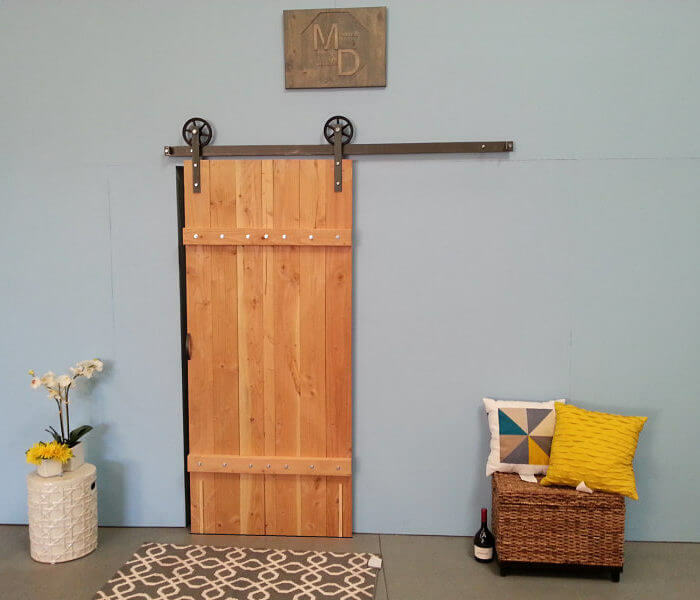 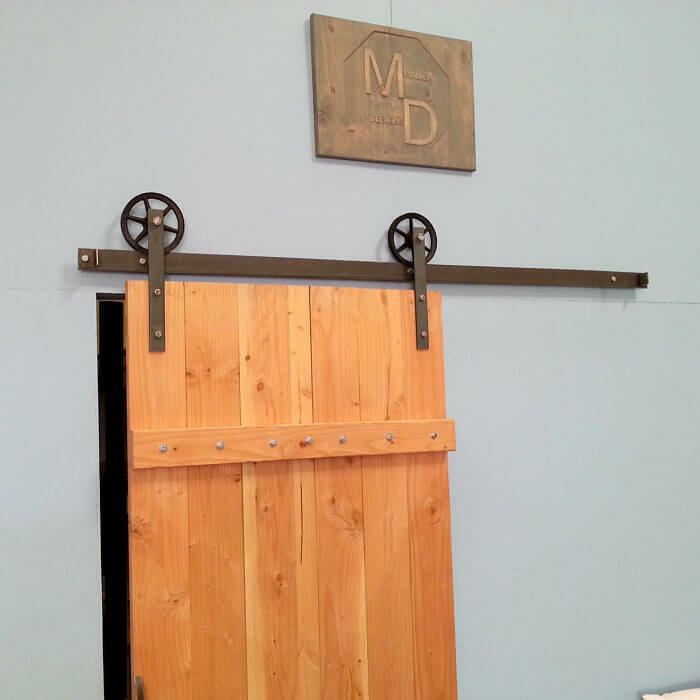 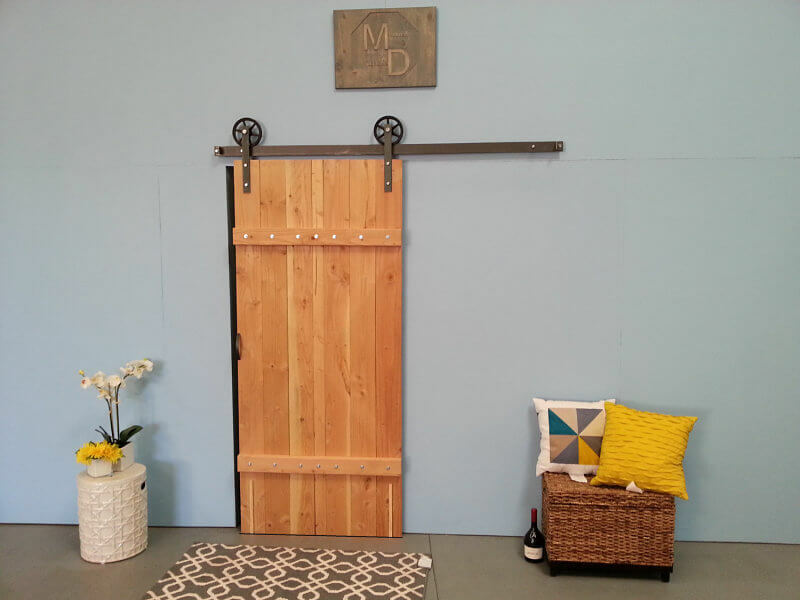 Sliding barn door hardware is a perfect match for the massive wooden doors. 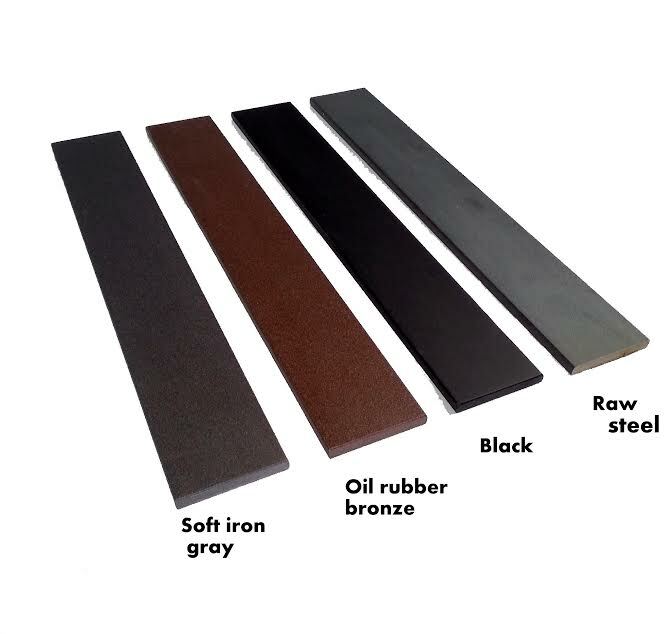 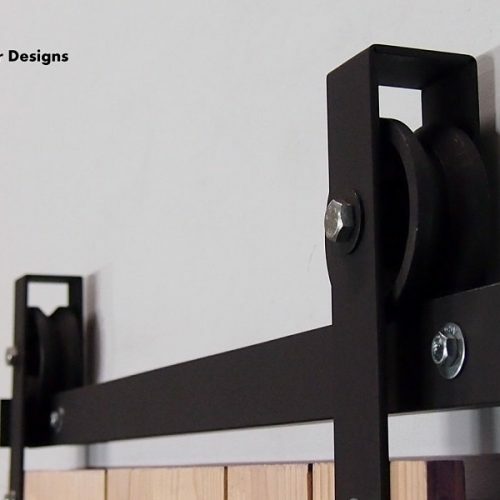 Because of the simplicity and naturalness of the steel and wood, they always look great together. 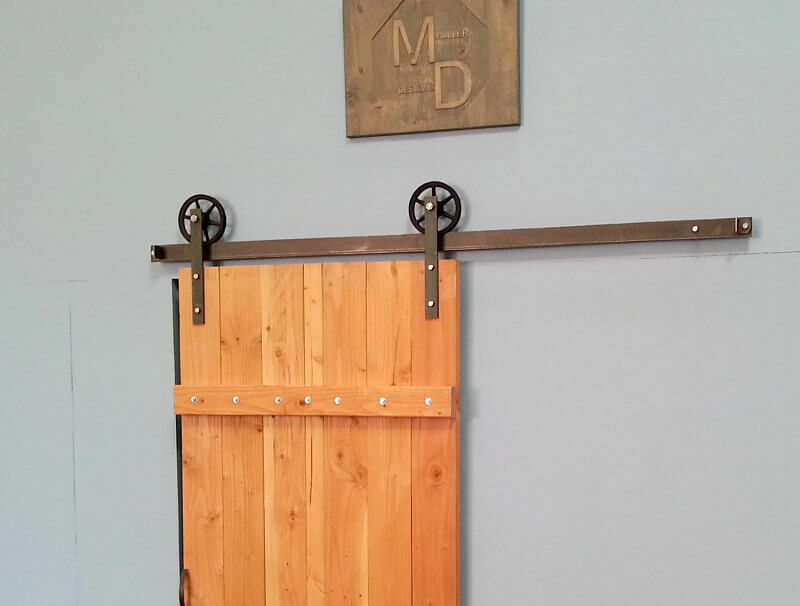 Sliding barn door hardware is suitable for houses in rustic, loft and traditional style. 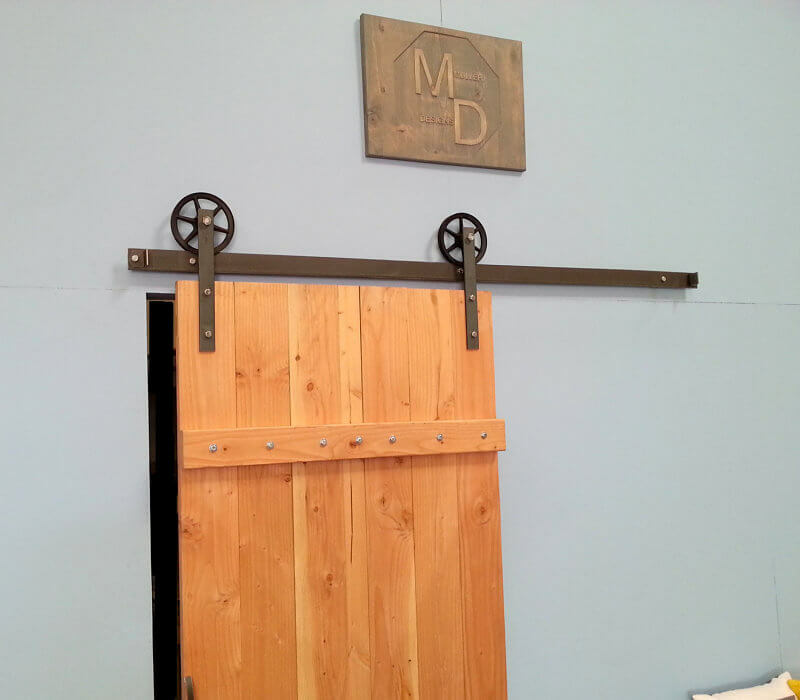 Wrought spoke wheels are the major decorative elements of the sliding barn door hardware, and they look very elegant. 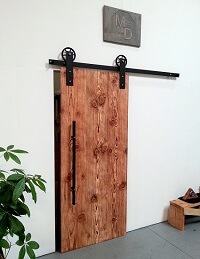 When you push the door, they roll smoothly and quietly. 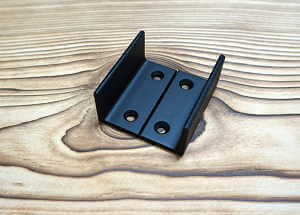 Hence, this kit is not only about the design, but also about the great functionality and reliability. 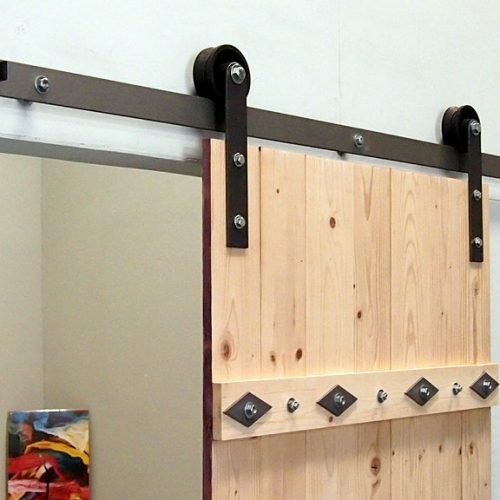 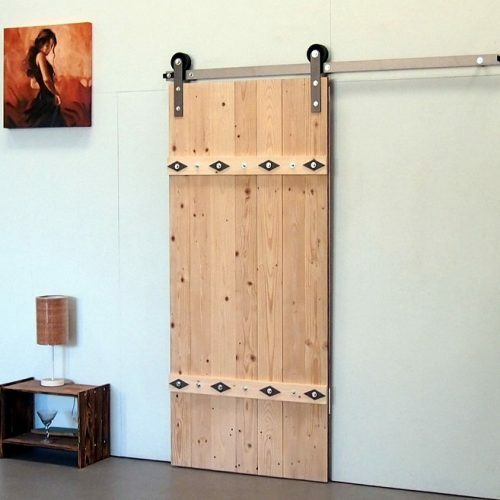 This sliding barn door hardware allows you to close the door tightly and enjoy the absolute silence in your room. 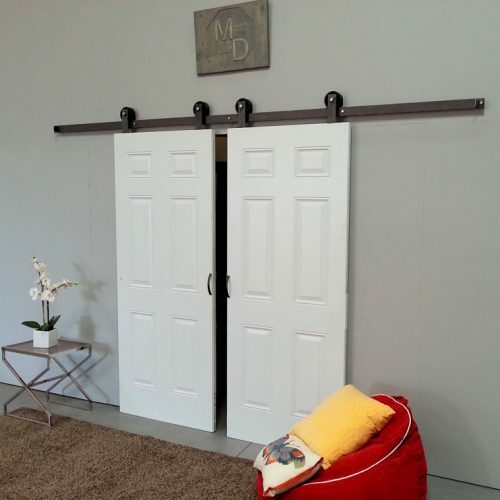 You have an opportunity to close your eyes and relax in the comfiest environment.